Minister Johnson accepted the Lord as his personal savior in June 1988. 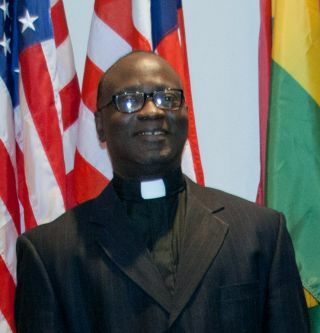 Though he was saved and attended church service regularly, he was not active in church life until he joined Faith to Face Ministries in November 2005. Minister Johnson’s endeavor to fill his hands with the things of God, coupled with his humble and teachable spirit afforded him promotion in the Kingdom of God. In 2008, he was licensed as a Minister of the Gospel at Faith to Face Ministries. In 2011, he was made the director of the intercession ministry and continues to serve in that capacity today. Minister Johnson is committed to daily devotional times, prayer, studying of God’s Word, a lifestyle dedicated to obeying God’s Will and a joyful love and willingness to serve our Lord, even through personal sacrifice.